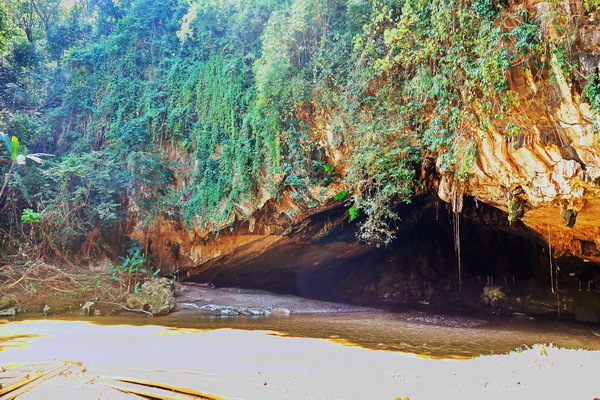 Tham Nam Lod or Tham Lod Cave situated in Mae Hong Son, a predominantly limestone region, the area around Tham Lod is typic of the province, i.e. spectacular forested, limestone mountains. 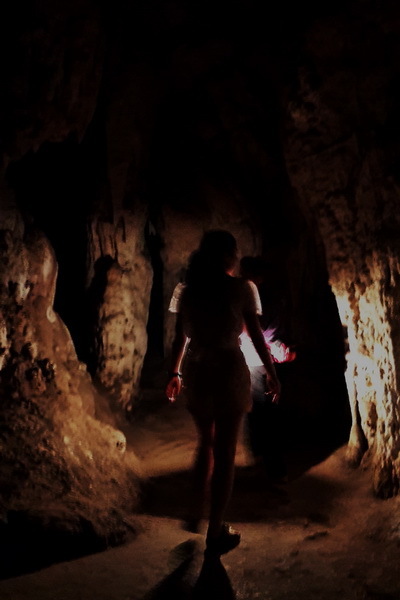 If you are an intrepid adventurer and love to go off the beaten track, discovering places on your own that are off the usual tourist maps, and want to explore archaeological sites, then The Tham Nam Caves, Pang Mapha, Thailand, is just the answer for you. 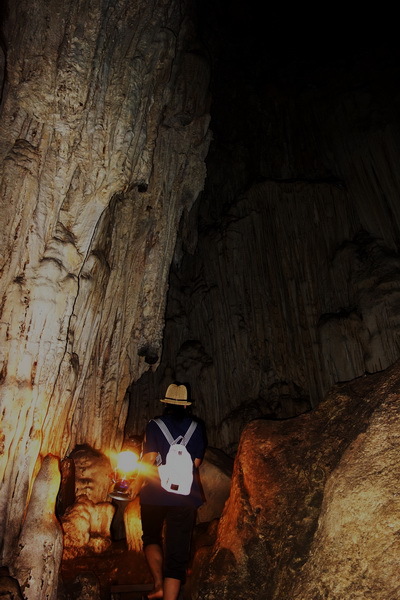 Tham Nam Lod is an enormous river tunnel with three high dry caverns. 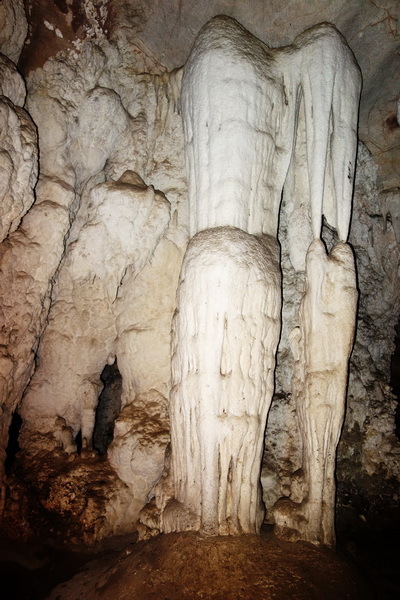 The cave walls are covered with massive formations, and columns over 20 metres high tower over visitors. 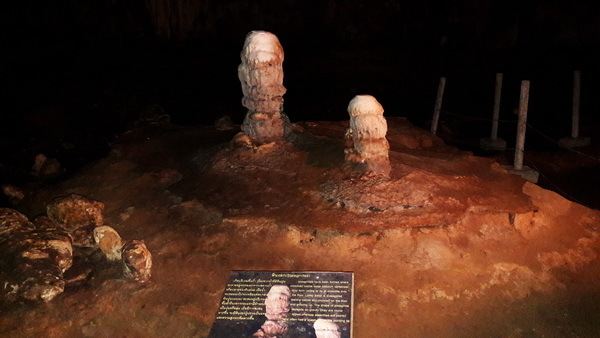 This 1666m long cave is where the Nam Lang River flows through and is filled with really awesome stalagmites and stalactites formations that drip from the ceiling and accumulates on the ground. Entering the pitch dark cave on a bamboo raft, the only illumination we had was from the oil lamp that our guide had brought with us. The cave was huge and takes quite a while to explore it all. 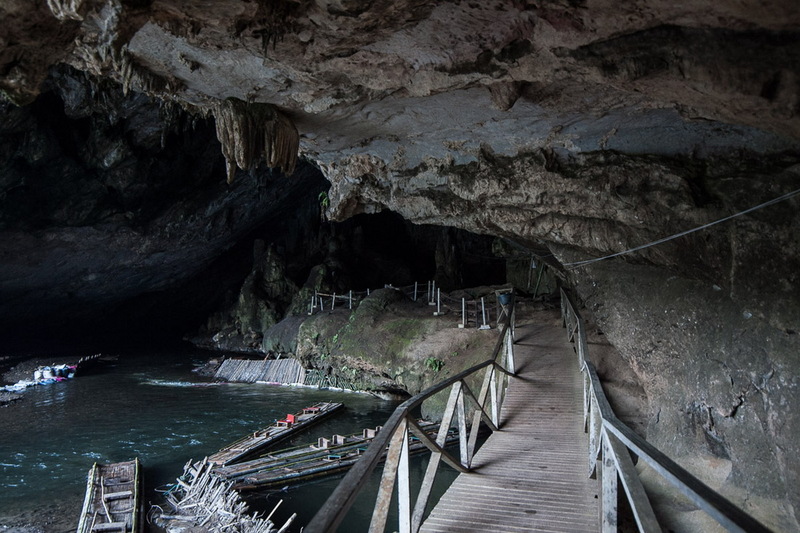 The discovery of a wealth of archaeological remains inside the Tham Nam Lod, also known as Tham Lot cave, led to the protection of the site by the Ambassador’s Fund for Cultural Studies in 2001. 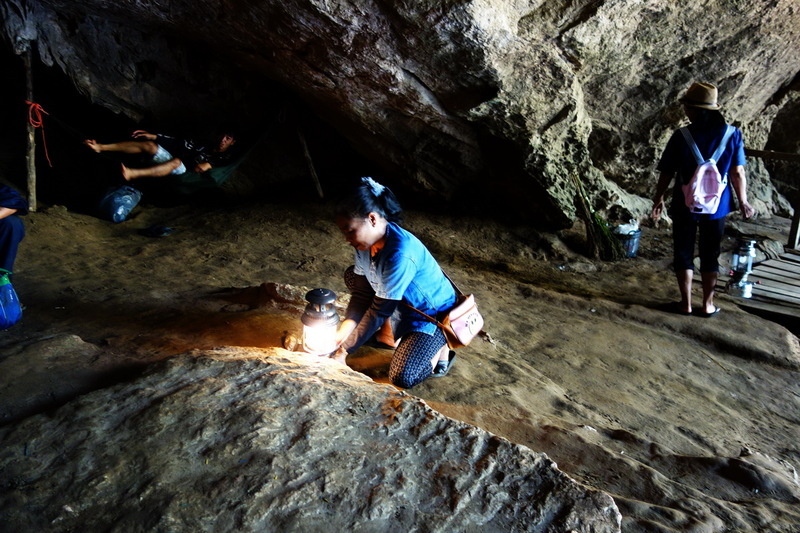 Extensive excavations were carried out to establish and examine human activity at Tham Lod during the three major periods of occupation in the region. The results revealed extensive long-term activity by early humans including hunting, food preparation, tool-making, and human burials. 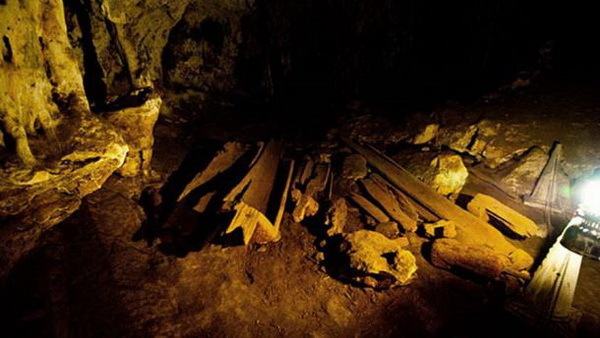 The third cavern shelters the remains of prehistoric teak coffins. Nearby is a recently excavated archaeological site a rock shelter where a 20,000 year old human skeleton was found the oldest in Northern Thailand. 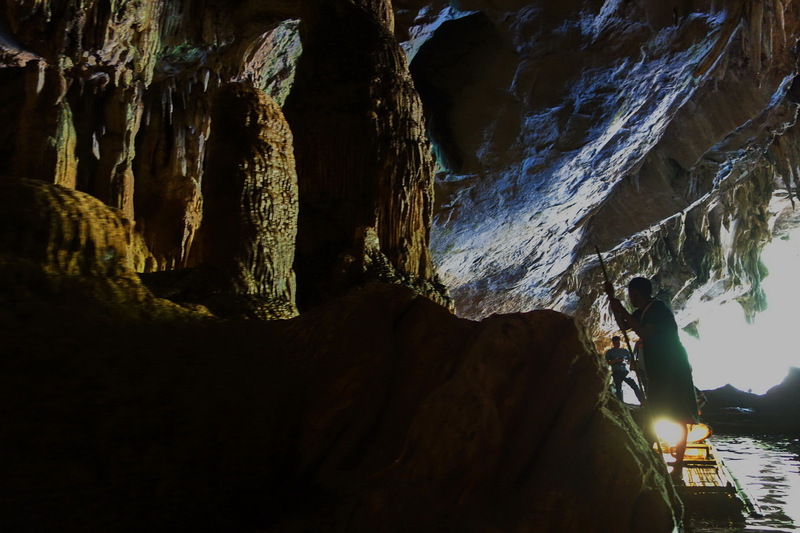 If you’re an avid caver, besides Tham Lod, there are numerous caves to explore around Mae Hong Son. All money paid here goes to the Local villagers (Shan People), who also construct and maintain the bamboo ladders and walkways in the caves. 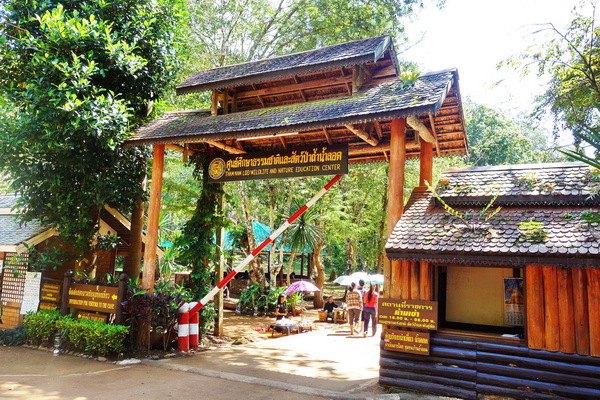 You will have to pay 150 baht for one of the guides with lamps, for up to three people, who will be waiting in the car park and the bamboo rafts round trip through the cave are 400 Baht for 3 people. Situtated on the Lang River at an altitude of 700m, the cave and the lodge are found 8km off the 1095 between Pai and Mae Hong Son. Coming from Pai, heading toward Mae Hong Son, just entering Soppong turn right, signposted to Tham Nam Lod Cave.